Over the past five years, Rendezvous Park (also known as "R Park") has been reclaimed from a private commercial gravel pit into a public-access natural park visited by over 5,000 people a year. A new grant from the LOR Foundation will allow the accredited Jackson Hole Land Trust, which holds an easement on the land, to complete the park's transformation, providing visitors with a better park experience, including a welcome pavilion, connected pathways and bridges, permanent restroom facilities, trail signage, a picnic shelter, bike racks, benches and additional landscaping and reclamation. The LOR Foundation and the land trust partnered in 2011 to purchase the 41-acre property located to the north and west of the Highway 22 Bridge over Snake River. It includes the Wilson boat launch, a popular community access point for boating, angling, swimming and pedestrian paths along the levee. The land trust and the LOR Foundation have been collaborating closely and are excited to finalize and execute a construction plan that reflects the community’s feedback and passion for open space. "As a foundation that is founded on the idea that small, rural communities ought to have the resources, tools, and support they need to create thriving, beautiful places to live, we are proud to help usher the transformation of R Park into an invaluable community asset," said LaMonte Guillory, chief communications officer at the LOR Foundation. 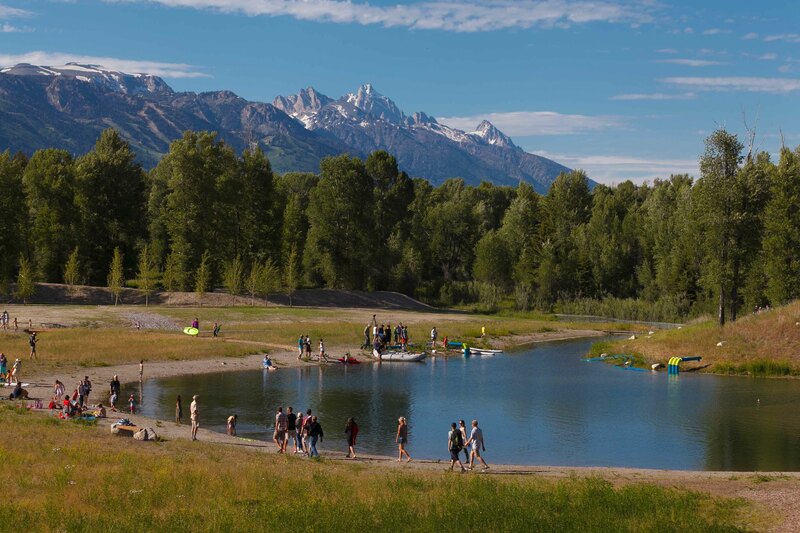 "We are confident in having Jackson Hole Land Trust manage the completion of the construction for R Park as we believe in their commitment to the park's success for the benefit of the community." When asked what she liked about R Park, an 8-year-old frequent park visitor said, "I think it's really adventurous, to look around and see the mountains and trees and stuff. I think it's a fun place!" Elizabeth Votruba is communications manager at the Jackson Hole Land Trust.